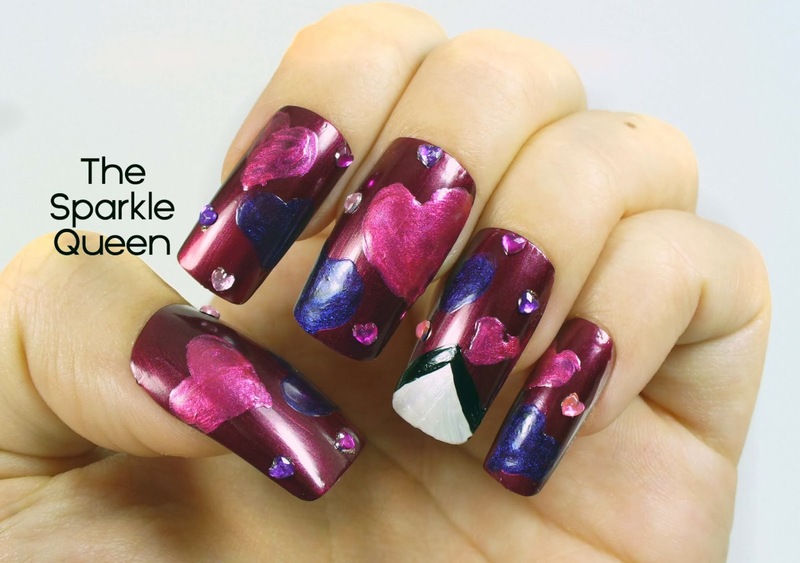 This is so pretty and I just love those little heart rhinestones you added! 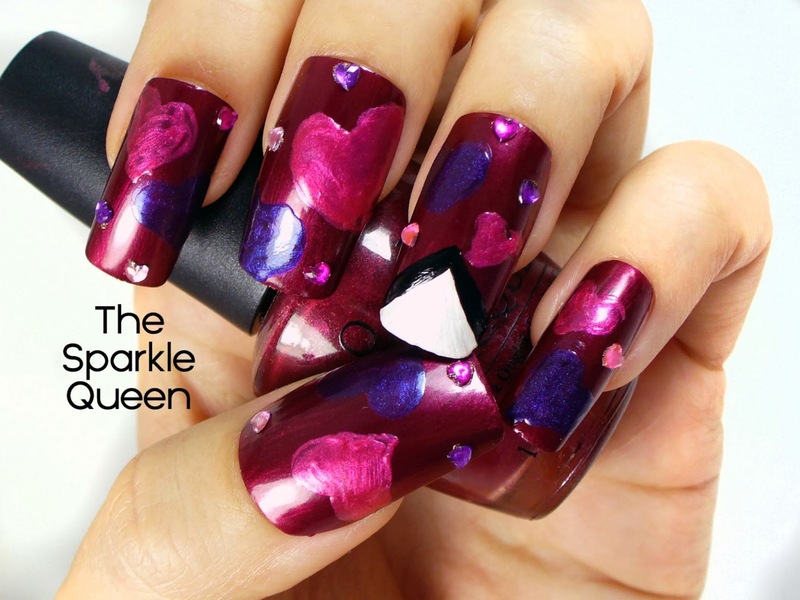 Gives the mani a nice 3D effect! I love the idea of an exploding love letter and your hearts look great!!! 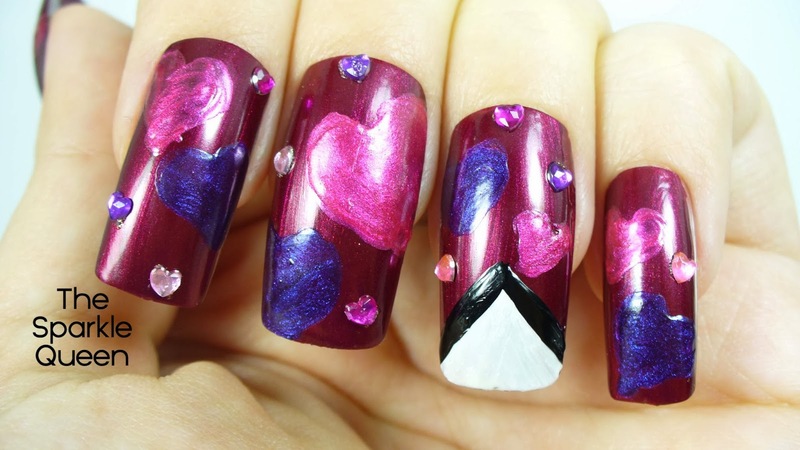 Your freehand hearts are brilliant, and I like that there's loads of them too. It wouldn't be a very good explosion if they weren't everywhere 🙂 Thanks for your sweet words Emma! Love the hearts. Such a good idea!! Yay! Thank you, that was EXACTLY what I was hoping for! So cute! Loving the little rhinestones. Hope you had a wonderful Valentines! 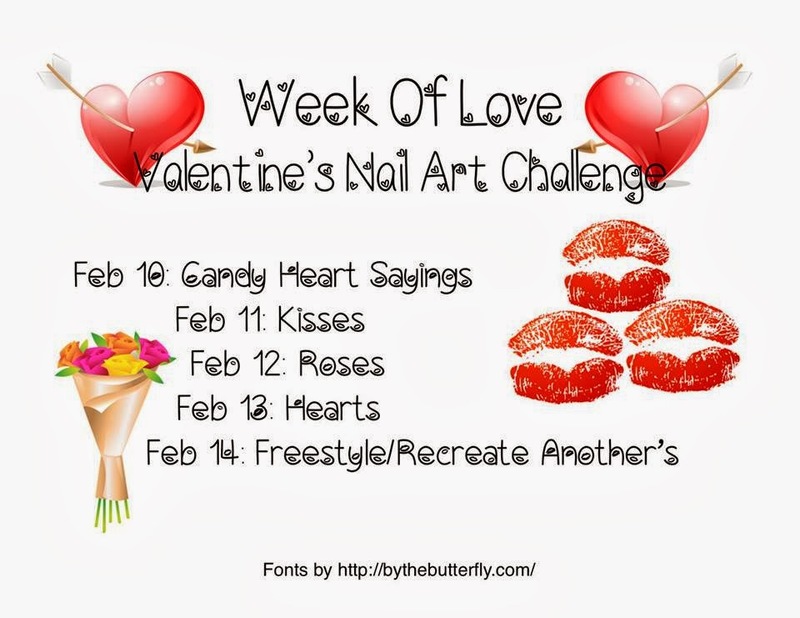 Love the idea of stones… nice mani queen ?